Who is a Local Leader? In the terms of Ladies Offroad Network, a Local Leader is an amazing lady that supports and encourages offroaders: women, men, and kids. They are the lady in your offroading circle that you turn to for questions and receive an honest answer, even if that is, “I don’t know, but we can find out.” They are the ladies who are on the trail encouraging other ladies to drive or ride, and including them in their circle. They embrace people and help when needed, allowing them to grow. A Local Leader can be on the trail with you, she can be a leader on social media, she can be a club member, etc. What is the Local Leader Program? Think of it as a mentorship. Charlene has a wealth of business and event skills that she is willing to share with the Local Leaders group so they can be more successful at hosting their local offroad groups. Through online business tools and interactive workshops, the group will meet a minimum of once a month where Charlene will outline a topic ranging anywhere from the management of online groups, why to use certified trainers, helping outline an event, how to successfully get giveaways for an event, among many other topics. Ladies Offroad Network will also provide a secret forum for these ladies to have conversations and support each others efforts to be successful. Why Nominate a Local Leader? First, they need to be recognized for being awesome and supporting your group! Second, Local Leaders will have the opportunity to work directly with Charlene and the Ladies Offroad Network team to source education to answer questions. They will have access to certified trainer information, management options, event packages, event giveaways, print materials, featured articles, and more opportunities in the works! It is our goal to provide a safe environment for these leaders to get the information and assistance they need to be successful. How Do You Nominate a Local Leader? It's easy to nominate a Local Leader! Download the nomination form and send it to winning@bowermedia.com. 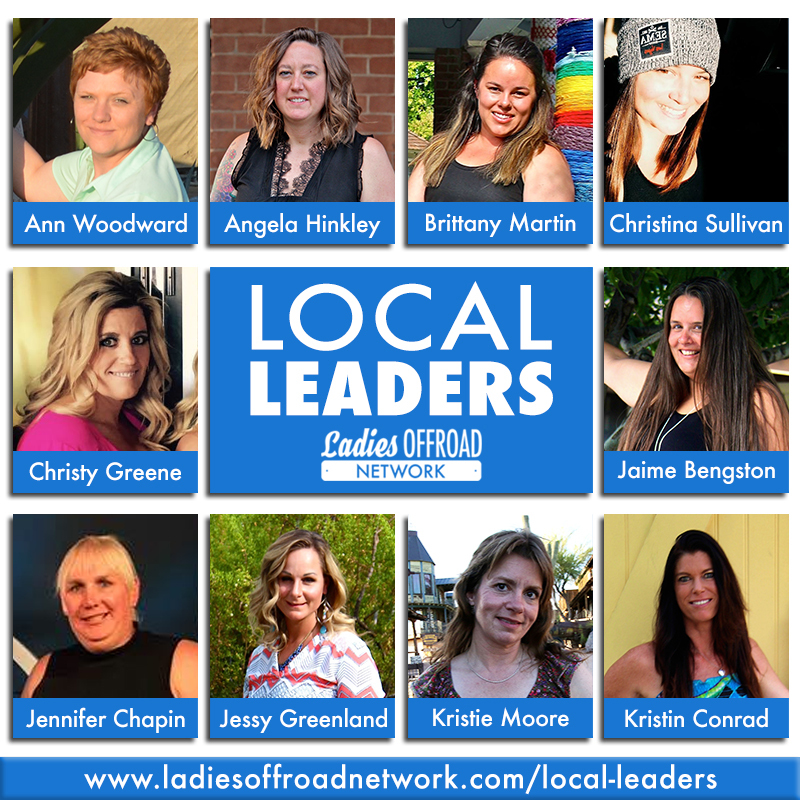 A Local Leader needs to be a standing Ladies Offroad Network Member and believe in what Ladies Offroad Network is able to provide extending these tools to ladies they reach. 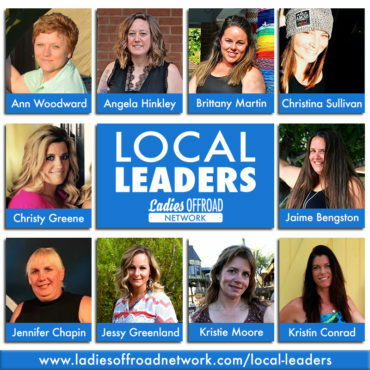 A Local Leaders group/club should be featured on Ladies Offroad Network and their goals should align with ours: Guide, Educate and Motivate Offroad Ladies.